I hope you're all keeping well? I've had a super busy, but fun birthday weekend and turning 24 doesn't feel that bad at all! Also a huge thank you for all the lovely messages that you sent me. 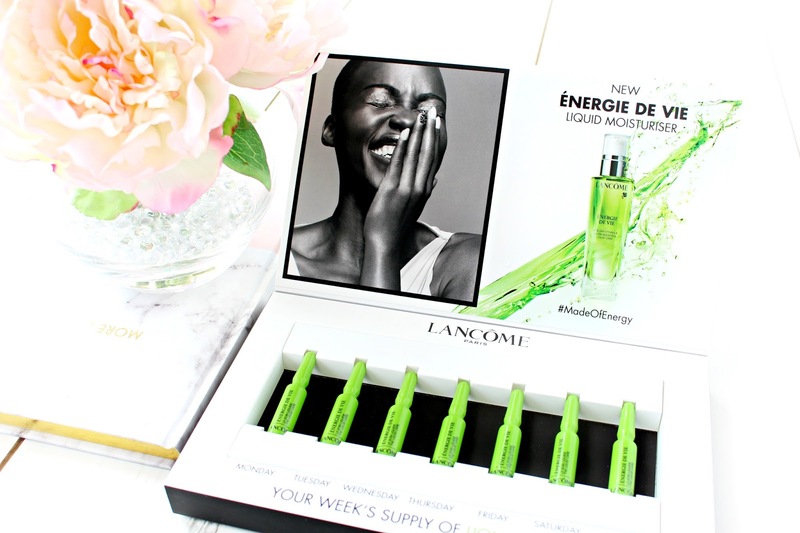 Just under two weeks ago I came home to a little Lancôme surprise; their new Energie de Vie Liquid Moisturiser. 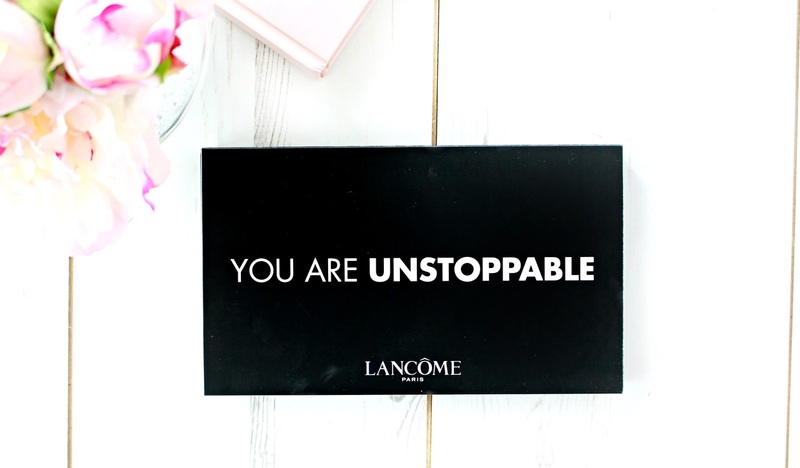 I love me some skincare and actually I haven't tried a huge amount from Lancôme, even though I'm currently obsessed with everyone of their perfumes and their brand new Juicy Shakers. I hope you enjoy this initial thoughts kinda review and I would love to hear from you in the comments section below. The Lancôme Energie de Vie Liquid Moisturiser (£28) has been designed for those leading an intense lifestyle (Hands up) which usually leads to tired, rough, dull or dry skin. Key ingredients include Goji Berry extract and Lemon Balm oil, which leave your skin looking energised, healthier, and hydrated. I have to mention that it smells amazing!! It smells almost exactly like a Lychee Martini, which I had at an event last week. Yum! This liquid moisturiser by Lancôme has been inspired by new Korean beauty technology, the liquid formula absorbs straight away similar to a serum like Estee Lauder ANR and leaves your skin ready for make-up application. After using the Lancôme Energie de Vie Liquid Moisturiser for a week, I have to admit that I've really enjoyed using it. I much prefer a serum or gel texture, as I really don't like it when I can feel residue on my skin after using a more traditional moisturiser. My skin is definitely looking more plump after following the 7 day regime and some dryness I was experiencing on my nose has vanished! It has been compared to that healthy post gym glow you get, even though I haven't been much of a gym bunny lately, I totally get it. This moisturiser really does make you feel and look more alive and everything from it's scent to it's super lightweight texture make this Moisturiser a little powerhouse. I can see this becoming super popular and I will 100% be purchasing the full size and maybe the sleeping mask too! I would love to hear from you below lovelies, would you consider trying this new type of moisturiser? Im such a sucker for packaging- this looks amazing! I really want to try it- my skin has been awful recently. Happy late birthday too - mine is next week! I actually haven't used a single Lancôme products before and I've no idea why! I could definitely use some products that leave my skin hydrated and matched with a great skin - it sounds like a winning combo! It's great =] It has a serum like texture, so a little weird at first... but I love it! Sounds great! I get what you mean about weird textures though! I love the little individual bottles you have there!